One of my favourite things about visiting a new city is exploring the culinary delicacies of each destination. Get ready to indulge, as Rome has no shortage of restaurants or pasta. I’m pretty sure I could eat pasta every day. Michelin starred AROMA is located in the Penthouse of the Palazzo Manfredi. 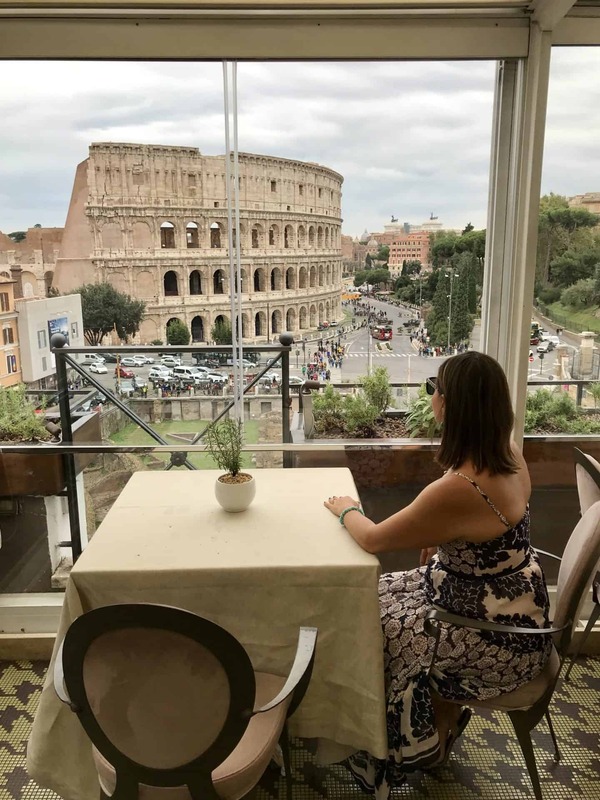 The menu offers classic Italian dishes on an outdoor terrace with majestic views of the Colosseum. The 28 seat restaurant is ideal for a special lunch or dinner. Roman-born Chef Di Lorio has been Aroma’s head chef since it opened in 2010. He has developed a menu that highlights traditional Italian cooking with fresh ingredients. I would recommend the tasting menu where Giuseppe Di Iorio Executive Chef, will accompany you in a renewed gastronomic journey in which he reveals his philosophy and culinary essence, made of creativity, passion, research, technique and respect for the raw material. Aroma is probably one of the priciest restaurants in Rome. It can easily set you back $400 Euros for a lunch for two, but if you are looking for a unique dining experience with exquisite food, then it is worth the price. Resting on the corner of a small side street in the hipster neighbourhood of Trastevere, this Roman restaurant does not look like much at first glance. The tables are adorned with the stereotypical red and white checkered clothes, the menu is as simple as can be and it’s not close to any specific attraction. But don’t be fooled. The simplicity and hominess of Trattoria da Paolo is what makes it so good. The lone server, Angelo, speaks mostly Italian but still somehow manages to communicate with those visiting who don’t, making jokes at the guest’s expense in a good-natured way that will have you feeling like your at Grandpas house. The food is comforting and delicious: bowls heaped high with varying kinds of pasta, sauces, and meats and seafood, stewed meats that fall off the bone, and the special antipasto plate that changes nightly. Unlike other restaurants that taste this good in Rome, eating here won’t break the bank. The average meal will cost you roughly 15 Euro. In the Summer, like most Rome restaurants, the tables spill out onto the sidewalk, lit softly from the indoors. It is quintessential Roman: the friendly yet gruff staff, plate after plate of delicious, hearty pasta, and a meal that lasts hours from sheer enjoyment. One of my favourite vegetarian restaurants in Rome is Romeow Cat Bistrot (Via Francesco Negri 15). Bistrot and restaurant, it’s located in the Ostiense area, the neighbourhood home to the relics of Rome’s industrial archaeology. All around the restaurant you can visit places like the Centrale Montemartini Museum, the old Gasometer, and view the street art along Via Ostiense and Via del Porto Fluviale streets. Romeow Cat Bistrot serves only vegan dishes prepared with no animal products. The menu and the ingredients change depending on the season, so in summer you would find more refreshing dishes made with veggies like zucchini, tomatoes and eggplants, while Fall and winter are the time for broccoli, pumpkin, chestnuts, lentils and so on. The dishes are delicious and the combination of ingredients daring yet spot-on. Some of the courses I had included dumplings on a tempeh ragout, spinach and ginger, soy and chickpea burger with chips on paprika and avocado cream, and crunchy rolls stuffed with Sicilian broccoli and toasted hazelnuts. 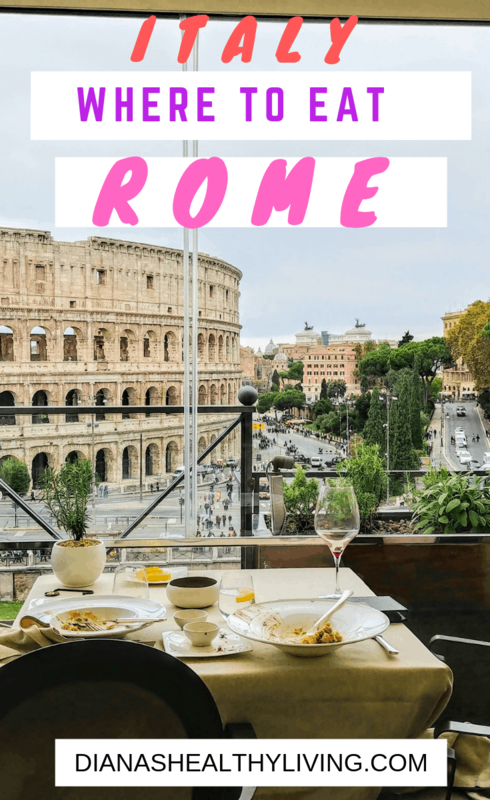 The restaurant is not a cheap eat in Rome, with most fares ranging from 12 to 15 euro up for the main courses and between 8 to 10 euros for starters and appetizers. Here, I liked the serene ambiance and the cats wandering around. While guests are asked not to stress the furry hosts by waking them, grabbing them or attracting them with the food, they are welcome to pet them if the cats make the first move and get close for some cuddling. If alongside traditional foods you also like to try more adventurous flavours and dishes, you will love Romeow. Our favourite restaurant in Rome is Pastificio Guerra near the Spanish Steps. While it’s not a traditional sit-down restaurant, this spot is an absolute can’t-miss. The menu rotates daily, but all of the kinds of pasta and sauces are made fresh in the kitchen right behind the counter. Everything is served without fanfare in takeaway containers and that’s just fine with us – Pastificio can focus on making some of the city’s best pasta without worrying about a wait staff or charging more for a fancy presentation. The most remarkable thing about Pastificio is that it’s some of the best pasta you’ll ever eat, yet one of the cheapest meals you can find at a restaurant anywhere: just €4 for pasta and wine. No joke. They’ve been serving up deals to tourists and locals alike for a century! Deciding when to visit Pastificio is a bit of an art – come at peak times and you could wait in line for ages, come too late and you’ll find fewer options from the day’s menu. Once an item is gone, it’s gone! If you come at a time when the shop isn’t too busy, you’ll be able to stand around the shop’s perimeter and use the small counters to stand for your meal while you ogle the packages pasta for sale. 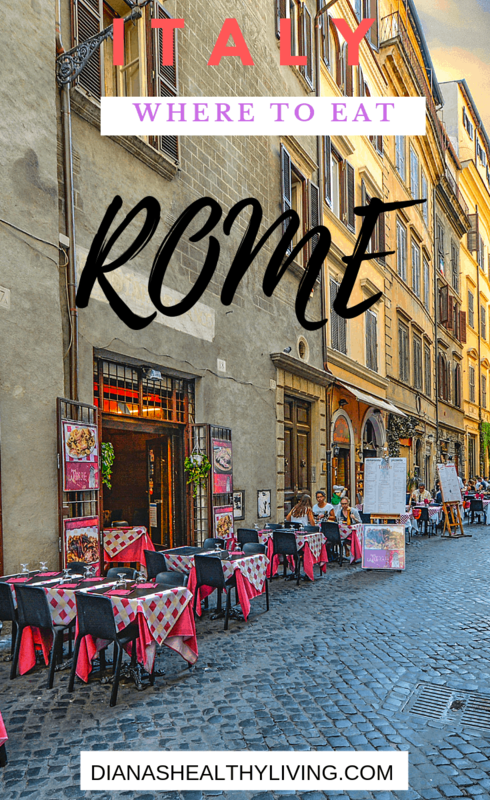 One of the most historic restaurants in Rome is the Sora Lella, located on the only little island on the Tiber River that runs through the city. The Roman people may have turned their backs on the Tiber River, but they will never turn their backs on Sora Lella. Opened in 1959 by Elena “Lella” Fabrizi an actor herself and the sister of Italy’s famous actor Aldo Fabrizi. Immediately it became a popular place for movie stars visiting the city like Aldo himself, and Alberto Sordi. Today the restaurant is still run by family members as they keep up the wonderful tradition of making delicious very authentic Italian dishes. Earning a well-deserved Michelin Star. You will find some items on the menu that you will recognize but it the regional food that they are famous for. 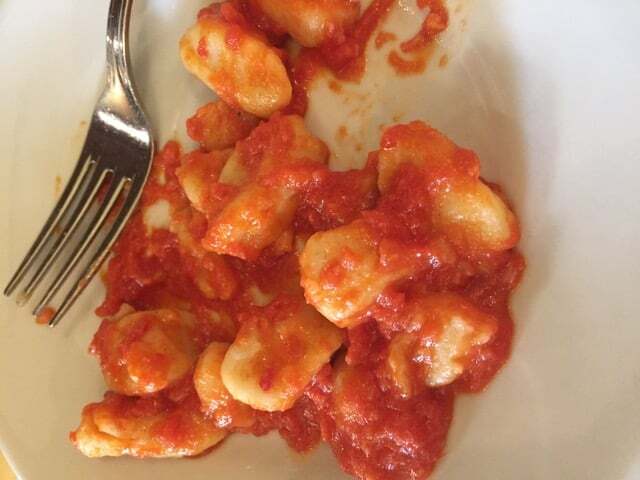 Like Sweetbreads of Lamb with Marsala wine, Roman-Style Veal tripe with tomato sauce flavoured with mint and pecorino cheese, Home-made Gnocchi in a classic Roman sauce with seasoned pork cheeks, tomatoes and Roman pecorino cheese. The desserts especially their Tiramisu are delizioso! The cost of meals are a little above average in the price range, but so worth it! The best part is the family atmosphere and the history that follows this trattoria. We enjoy going every time we are in Rome. Letting them know that we are distant relatives when we take our seats, they treat us like close family members each and every time. In the heart the Jewish Ghetto district, Nonna Betta is the place to go for home-style kosher cooking in Rome. Jews have played an important part in the city’s food culture for over 2,000 years and this heritage is celebrated at Nonna Betta. The restaurant is cozy and inviting thanks to low hanging wrought iron lanterns hovering over wooden tables. And the staff are more than happy to take you through the menu full of Roman Jewish classics. Meals at Nonna Betta are homely and hearty. 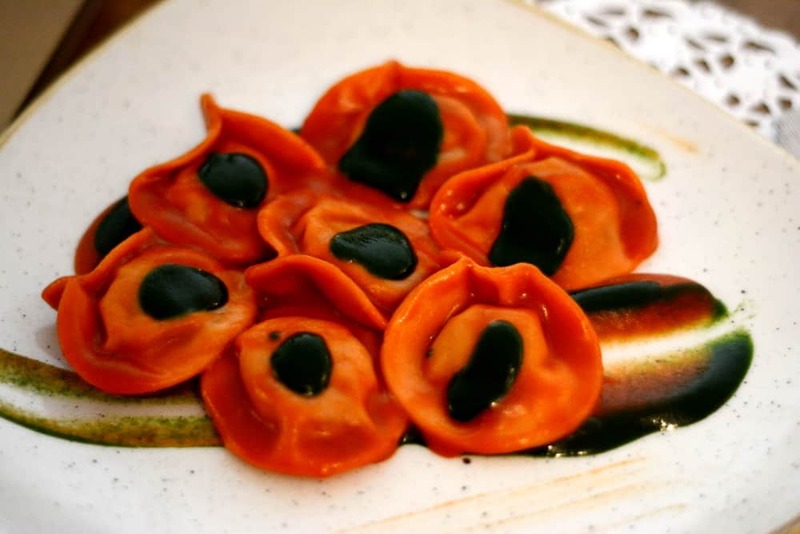 Must try dishes include agnolotti pasta with stracotto (pot roast sauce), pumpkin flowers and baccalà (codfish) with tomato and onion sauce. But most people come for the famous carciofo alla giudia (Jewish style artichokes). Deep fried and seasoned with salt and chilli, they are one of Rome’s iconic dishes and you’ll wonder why you ordered just one serve. For dessert, you can try Middle Eastern style treats like baklava and or the house specialty ricotta cheesecake. 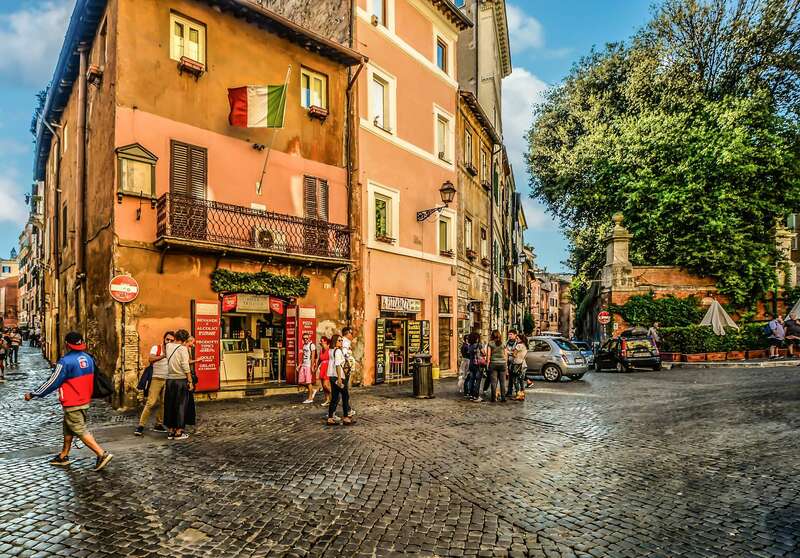 After dining, take a walk through this fascinating part of Rome. The impressive ruins of the Portico d’Ottavia, an ancient Roman walkway, are just steps from the restaurant. Stroll a little further and you reach Teatro Marcello, a huge amphitheatre and entertainment space founded by Julius Caesar. 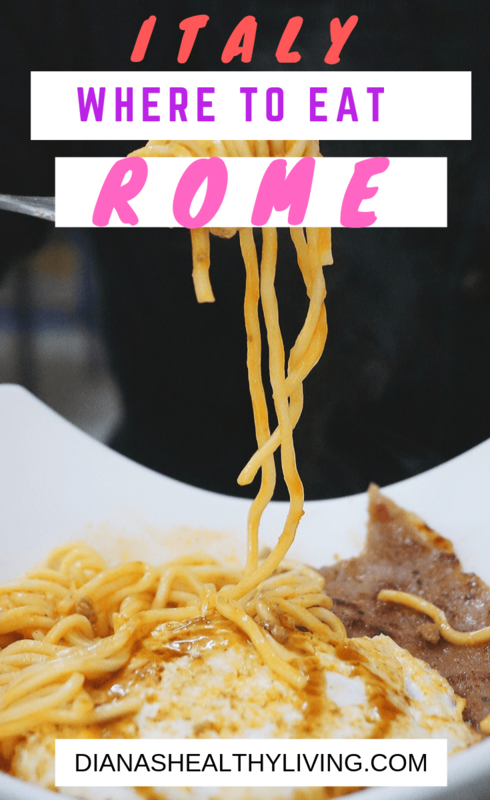 It’s easy to get caught in a tourist trap in Rome, I’ve certainly gone places based on top picks on travel review sites only to find out that only tourists eat there. Or even worse, Anthony Bourdain ate somewhere amazing and featured it on his show and it becomes a completely different place in order to deal with the new influx of people. But Roscioli is where locals go. It’s been around for four generations and where Italian chefs visit when coming to Rome. I follow a lot of chefs who own Italian restaurants in North America. So when planning a trip to Rome I asked them where I should eat and overwhelmingly they said Roscioli was one of their favourites. But you must love cured meat like prosciutto and lardo di Colonnata because a salumeria is a deli and this one also has a restaurant. It’s easy to get to, nearby Campo dei Fiori and Via Arenula. I recommend sitting at the bar instead of a table. You can see more of the action and talk to the servers who will share their favourite places to eat. This is a splurge and you could easily spend $100. You can eat more economically but they serve the best quality burrata in Italy, and the cured meat is incredible. If you’d like something more substantial you cannot miss the cacio e pepe pasta. If you love this spot you must also visit their bakery around the corner at Via dei Chiavari. 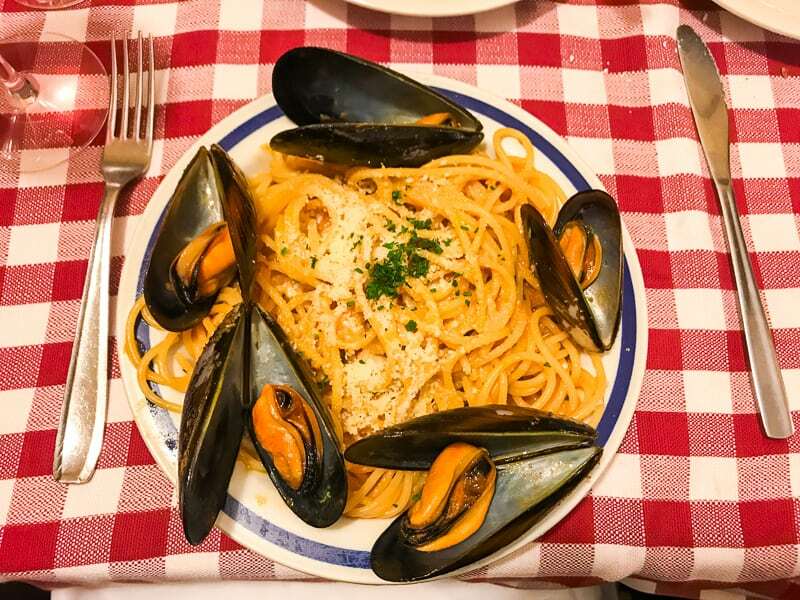 There is no doubt that one of the top things to do in Rome is eating at Trattoria Vecchia Roma, one of the most delicious restaurants in the city. Located in Via Ferruccio 12 B/C, a rather hidden street near Vittorio Emanuele square and Vittorio Emanuele metro station, it’s a favourite of locals and has yet to be discovered by tourists, who can be easily spotted inside as they are the only ones sipping cappuccino after a meal (no Italian would do that!). This is probably due to the fact that no major tourist attractions are nearby (though the area is definitely central, between Stazione Termini and San Giovanni in Laterano). Trattoria Vecchia Roma serves typical dishes of Roman cuisine, such as “abbacchio alla scottadito” (chargrilled lamb chops); “tonnarelli cacio e pepe” (tonnarelli pasta in a cheese and pepper sauce); “bucatini all’amatriciana” (bucatini pasta in amatriciana sauce, made with guanciale and tomatoes). There is a fantastic salad bar to pick a variety of vegetable dishes: the most typical one is puntarelle, which is made with the sprouts of chicory and a simple dressing of olive oil, garlic, salt, pepper, and anchovies; another one is lightly stir-fried chicory with garlic and chilli. Last but not least, the zucchini flowers are to die for: stuffed with anchovies and a bit of mozzarella, dipped in a light batter and fried until moist yet crispy, this is one of the most typical dishes of local cuisine. The average cost of a meal at Trattoria Vecchia Roma is 20 to 22 euro. If you go for the set meal, it’s 27 euro for a full meal which includes appetizers, a pasta course, a meat course, side dishes of salad or roast potatoes, dessert, coffee, drinks and liquors. Portions are huge, so unless you are very hungry, don’t go for the full menu and share at least some of the dishes. What’s special about Trattoria Vecchia Roma is that it’s retained its local character since the day it was founded, in 1916 (yes, it’s been around for over 100 years! ); the food is delicious and the prices are honest. It’s a popular place, so make sure to call in advance to reserve a table. And please, do not order a cappuccino after your meal. You’ll be served one, but you’re going to be frowned upon! Far from the crowds of the Colosseum and tucked into a more local neighbourhood in Rome sits Joseph Ristorante. It’s quiet, unpretentious, and during lunch on weekdays, arguably the best deal in town. During lunch on Monday – Friday, they run a lunch special that covers a meal (usually a pick of around 6-8 different kinds of pasta or a meat dish), bread, wine, and dessert… all for 8 Euros flat! Service is friendly and easy-going (though mostly in Italian–brush up on your restaurant Italian before you go! ), and we love the casual environment. The food is wonderful–we’re obsessed with the carbonara in particular–and the atmosphere perfect. For dessert, we’re usually partial to the tiramisu or the pannacotta with caramel–but the chocolate mousse is fantastic as well. While plenty of tourists do come by, you’ll hear more Italian than English spoken at the tables around you during these lunches. We originally stumbled across this restaurant due to staying near it: odds are, you will have to intentionally choose to come out here, as there aren’t any major attractions nearby. 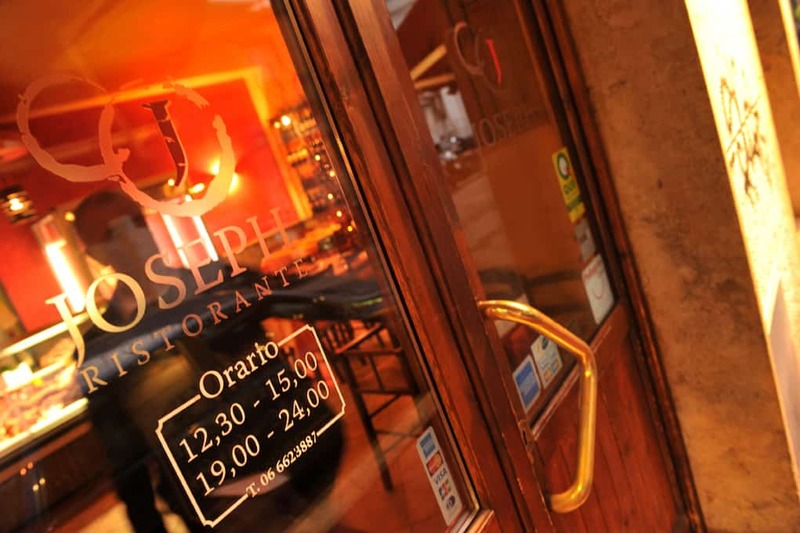 Joseph Ristorante is less and a 5-minute walk from the Line A Cornelia metro stop–just an extra 3 stops or so past the Vatican! Joseph Ristorante would make a perfect stop after visiting the museums in the morning, especially if you have an all-day metro pass. We’ve eaten here at least half a dozen times during our various visits to Rome… and we fully intend to keep coming back whenever we’re in town. Located in a little alleyway behind the Pantheon in Rome, is this charming restaurant nestled in between touristy food options. This hole in the wall restaurant has a charming candlelit interior with artwork all over the walls and staff that speak a little English with a lovely, thick Italian accent. It feels like you are eating in Nonna’s living room. But don’t worry, they have menus in English to bridge the language barrier if needed. I love the atmosphere of the restaurant and the area it is in. It feels like such a secret find when the road is filled with touristy restaurant options and then you stumble inside this cute restaurant. The restaurant is famous for artichokes, when in season, and fresh truffles, which are to die for. But my favourite dish was their take on the traditional Roman pasta dish, Pasta Alla Gricia, which is perfectly cooked al dente pasta dressed with pork cheek bits, pecorino, garlic, and black pepper. Its simplicity is what makes it delicious. They also serve up a delicious Bucatini Alla Amatriciana, another one of their takes on a Roman classic. They specialize in pasta dishes, so don’t come here if you are looking for a pizza. Their dishes are approximately 20 euros each because the restaurant is in a touristy area. But you have to love a restaurant that provides you with a free glass of prosecco if you have to wait for a seat, even if it’s only a few minutes wait! Have you been to Rome? I would love to hear your food recommendations.